Arsenal’s quest to finish in the Premier League’s top 4 this season hit a roadblock at West Ham last week, when they fell to narrow 1-0 defeat at the London Stadium. 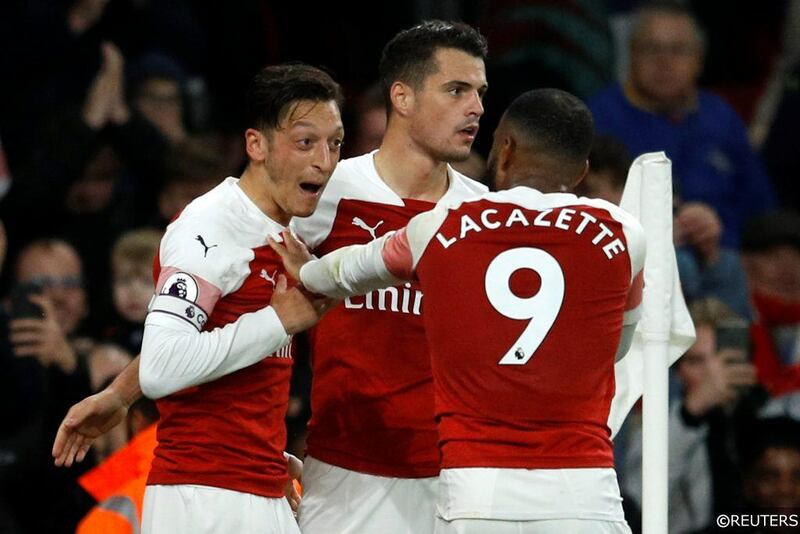 The Gunners, currently in 5th, have an immediate chance to restraighten their course on Saturday evening at the Emirates Stadium against 4th place Chelsea however. This weekend, Arsenal will need to find a way to beat the Blues in a league game for the first time since September 2016, though another poor result could turn the current 4-point gap between the teams into a 7-point chasm. Chelsea are looking to make it a hattrick of Premier League London derby away wins at Arsenal’s expense, after the Blues disposed of Crystal Palace and Watford in their two most recent fixtures as the visiting team. Fixtures between Arsenal and Chelsea are routinely some of the most exciting games of a Premier League season, which makes it an ideal contest to find some potentially lucrative selections from the bookmakers’ individual player markets and specials. Take a look at our selections below. Read the rest of our Arsenal vs Chelsea betting tips and predictions in our match preview here. Arsenal’s leading marksman and joint Premier League top scorer Pierre-Emerick Aubameyang has had to be incredibly clinical this season for the Gunners. The Gabon international’s 14 league goals so far this term have been scored from relatively few attempts when you compare his and his rivals’ equivalent statistics. The 29-year old has averaged 2.9 shots per Premier League fixture this season, while fellow Golden Boot contenders Harry Kane and Mohamed Salah have averaged 3.5 and 3.3 shots per 90 minutes in comparison. Aubameyang’s goal-threat does seem to spike however in some of his appearances against other teams from the Premier League’s current top 6. The pacey attacker had 3 shots against Liverpool at the Emirates in November, and 4 attempts against Spurs at the same venue a month later. Aubameyang also had 4 efforts on goal against Chelsea in the reverse fixture between the teams at Stamford Bridge in August. 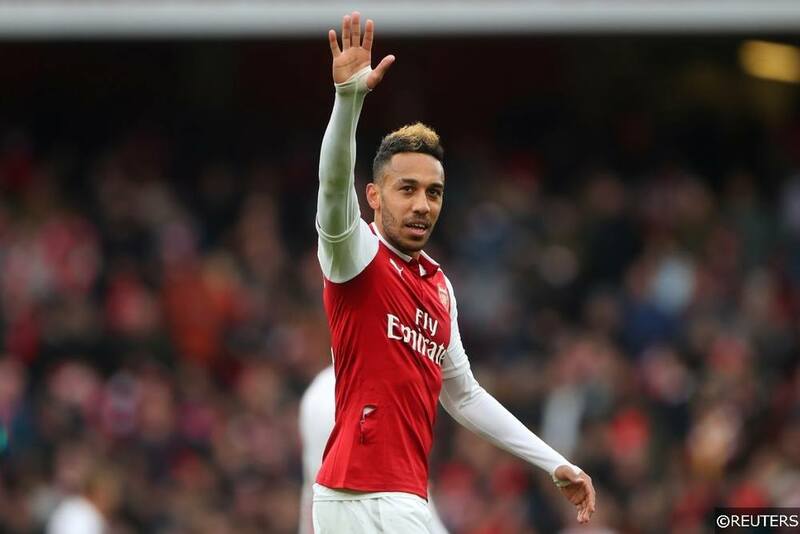 Aubameyang is likely to play at the sharp end of the Arsenal attack against Chelsea again on Saturday, making him a terrific price at 5/6 with bet365 to register over 2.5 shots on goal during the contest. German centre-half Antonio Rudiger has played more minutes in the Premier League this season under Maurizio Sarri than any other member of Chelsea’s squad. Th 25-year old has developed into a pillar of reliability at the heart of the Blues’ rearguard alongside the much-improved David Luiz. Rudiger has averaged 1.1 tackles per game this season for Chelsea, a figure that might seem on the low side at first glance, though in truth, the stat instead helps to highlight Rudiger’s ability to snuff out an attack before a tackle is necessary. In games against the other members of the Premier League’s top 6 however, Rudiger’s tackle average shoots up to 1.6, and in his appearances versus Liverpool, Man Utd and Spurs, the German was forced to make 3, 2 and 3 tackles respectively. Rudiger should have plenty of defending to do at the Emirates on Saturday evening, and although bet365 odds of 2/5 on him making over 0.5 tackles isn’t a mind-blowing price, it should prove a great pick to help pad out your accumulator. Read More: Premier League Analysis: Have Arsenal really improved under Unai Emery? Arsena’s midfield hatchet-man Granit Xhaka is certain to resume his role of destroyer against Chelsea on Saturday evening. The Swiss international has made more tackles per game than any of this Arsenal teammates this season (2.1), though Xhaka’s over exuberance while attempting to retrieve possession can often land him into trouble with referees. Xhaka has already been shown 7 yellow cards in the Premier League this season, and the midfield enforcer looks well on his way to eclipsing his 10-card haul of 2017/18. With numerous Chelsea runs to track and legs to kick this weekend, Xhaka looks a fantastic bet at 13/8 with bet365 to get booked again. Read this week’s Premier League corners and cards predictions and betting tips here. The Premier League’s most creative player Eden Hazard, has been slicing open defences with startling regularity this season. The Belgian magician has already created a league-high 10 goals for his Chelsea teammates in 2018/19, a full 6 assists more than the Blues’ next highest chance manufacturer Olivier Giroud. 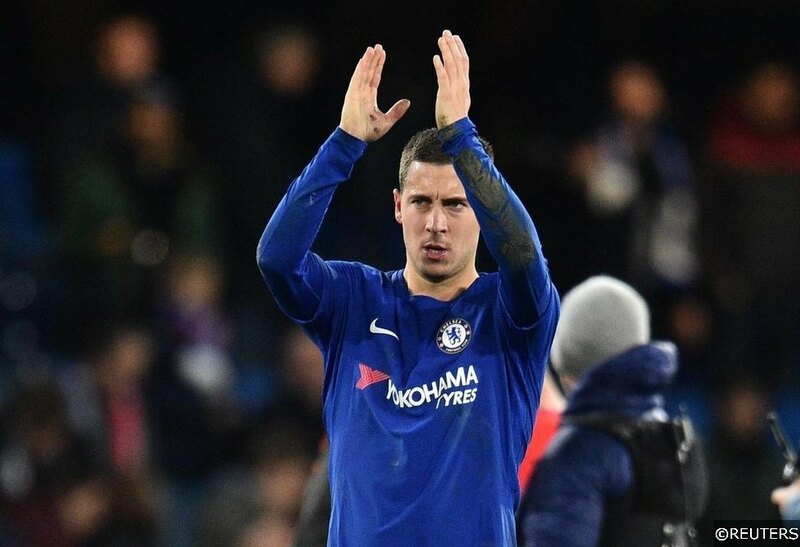 Hazard has already trebled his assists total for 2017/18 (4), in what has been his most inventive individual campaign since his first season in a Chelsea shirt back in 2012/13. With so much riding on Chelsea’s game with Arsenal on Saturday, Hazard’s concentration is likely to be finely tuned and laser focused. That makes Hazard a brilliant price at 9/4 with bet365 to add yet another assist to his tally. Categories: Betting Strategy, Blog, Football, and Premier League. Tags: Antonio Rudiger, Eden Hazard, Granit Xhaka, Pierre-Emerick Aubameyang, Premier League betting specials, premier league betting tips, and Premier League player specials. Team Tag: arsenal and Chelsea. League: England Premier League. Sports: Football.